Hau Giang (VNA) – The Mekong Delta province of Hau Giang introduced its investment attraction policies and investment opportunities to European food and beverage firms. At a meeting on August 22 with representatives from Poland’s Euro Eco Food, Mekong Pearl JSC, and the Netherlands’ Vietnam Trade International, Vice Chairman of the provincial People’s Committee Nguyen Van Tuan detailed the locality’s natural conditions, infrastructure, and incentives for investors. The province will create optimal conditions for investors to implement their projects in the province, Tuan said. Ngo Phat Dat, Chairman of the Mekong Pearl JSC highlighted Hau Giang’s favourable conditions in terms of climate, human resources, and material supply for his company’s projects to produce Polish Vodka and clean chicken meat. The Polish Vodka, fruit cider and beverage project, worth around 20 million EUR is expected to produce three – five million litres of Vodka, while the clean chicken meat project, worth 60 million EUR, will produce 30,000 tonnes of chicken meat. 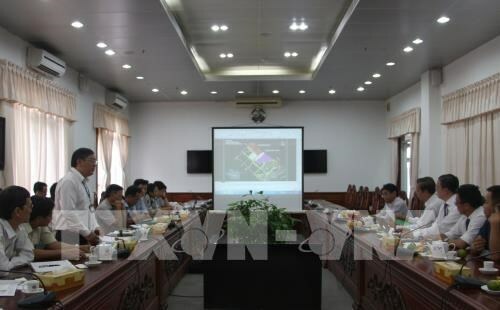 Currently, Hau Giang is home to 43 domestic and foreign investment projects in local industrial zones and clusters, including the Hau River 1 Thermo Plant, AquaOne Drinking water Factory, and the White Tiger Beer Factory.